It’s 2014! We hope you all had a brilliant time celebrating the New Year, and are ready to take grab this year firmly with both hands. Liverpool has had some brilliant news this week; not only has the city taken the number 3 spot of best places to visit in 2014, but we will also be welcoming the fantastic Giant Spectacular ‘Little Girl Giant’ back this Summer! It was in the ‘Rough Guide to 2014‘ that we were voted in the top ten destinations to head this year. With the regeneration of the waterfront, and the development of the Baltic Triangle, it seems Liverpool is finally getting the recognition it deserves on a worldwide scale. We can’t wait to welcome lots of new visitors to the city this year, some of whom may just like to take one of our gorgeous gifts and ornaments back home with them to remember Liverpool in their own way! We’re also very pleased to welcome the Giant Spectacular back to the streets of Liverpool. We loved their last visit to the city a few years ago, and with this spectacle due to commemorate the beginning of the First World War in 1914, we can’t wait to see what they’re going to pull out of the hat. Make sure you keep 23rd-27th July free in your diary! You can find more information and stay up to date with developments of the Giants over on their website. We loved the display so much last time that we just had to stock these gorgeous prints by talented local artist Freida McKitrick. We still have a few left in stock if you want a lovely reminder of the Little Girl Giant, her Uncle and her little Dog. 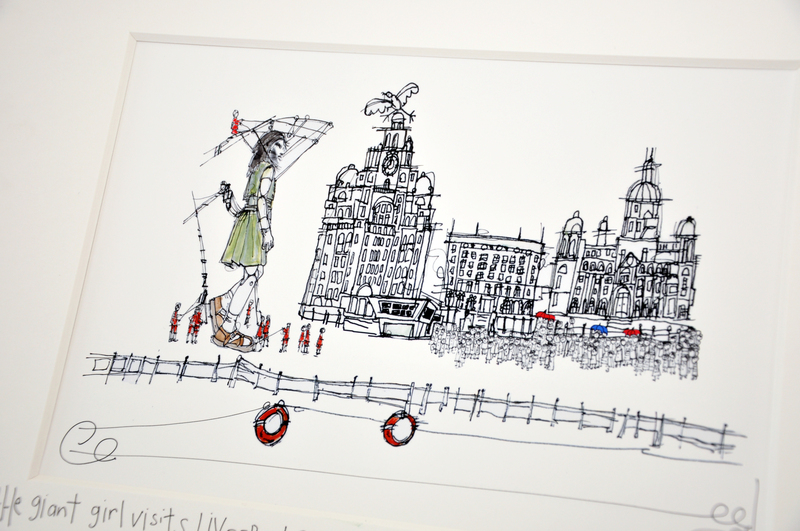 You can find both of Freida’s gorgeous Sea Odyssey prints here. We really can’t wait for 2014 to get into full swing and we hope you all have a fantastic year!